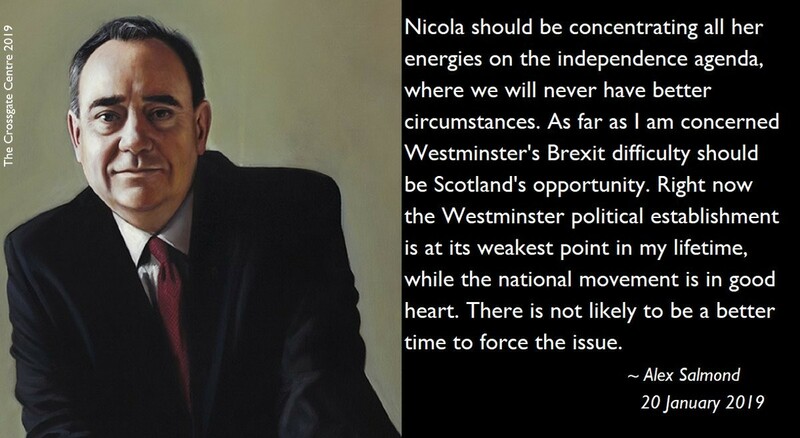 "Nicola should be concentrating all her energies on the independence agenda, where we will never have better circumstances. As far as I am concerned Westminster&apos;s Brexit difficulty should be Scotland&apos;s opportunity." "Right now the Westminster political establishment is at its weakest point in my lifetime, while the national movement is in good heart. There is not likely to be a better time to force the issue."